Drivers who are arrested for driving under the influence in New Jersey often make the mistake of believing the myth that their case must be conducted and completed in a “speedy” fashion, meaning within 60 days. Under the system of the New Jersey Municipal Court, the 60 day period – while often mistaken for a “rule” – is actually little more than a guideline that is rarely reached. 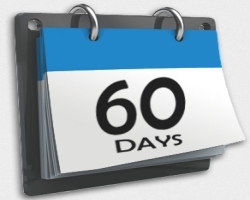 If a person who is facing a trial for DUI is under the impression that if the case is not dealt with within 60 days that the charges will have to be dropped, they’re surely in for disappointment when they learn that the court is using the 60 day rule as a goal instead of a requirement. They apply it liberally and are not going to simply drop the charges if the 60 days pass without trial. Before getting into the reality of the 60 day speedy trial rule in New Jersey DUI cases, it’s important to know how a DUI arrest will be made and the penalties if there is a conviction. Drivers need to understand that the law enforcement officer must have a justifiable reason to make the traffic stop to investigate a potential DUI. If the driver is operating a vehicle recklessly, runs through a stop sign or makes any other maneuver that could be concerning for the safety of the person and property of others, the officer can make the stop to investigate. Without just cause to make the traffic stop, all evidence accrued afterwards could be deemed inadmissible. When the stop is made, the officer will speak to the driver and ask for the driver’s license, registration and proof of insurance. All the while, the officer will be looking for telltale signs of intoxication. An open container of alcohol or bottle of pills are the most glaring signs, but there are others as well. If the driver is slurring words, has bloodshot eyes or is smelling of alcohol, the officer will have reason to believe that a DUI is taking place. After it has been established that there is a reasonable suspicion of DUI, the driver will be asked to take field sobriety tests. These will include the Walk and Turn test and the One-Leg Stand test. Next will come the breathalyzer tests. If the driver is suspected of being on drugs instead of alcohol, the officer will want to take the driver to the hospital to have blood drawn. With a breathalyzer test, there is a 20 minute rule in which the officer is required to watch the driver for 20 uninterrupted minutes to ensure that nothing is done that could compromise the accuracy of the test. This can include throwing up, smoking, chewing gum, drinking soda and many other actions. After the observation period, the officer will give the driver the breath test. For a driver 21 and over, a blood alcohol content of 0.08% will justify an arrest for DUI. If the driver is under 21, the BAC level is 0.01%. A commercial driver need only register 0.04%. 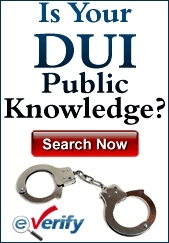 The penalties for a DUI vary depending on the circumstances. For a first offense with a BAC of 0.08% and below 0.10%, the driver’s license privileges are subject to a three month suspension. There will be a fine of between $250 and $400. $100 will be paid to the Alcohol Education and Rehabilitation Fund (AERF) and the drunk driving fund. $75 will go to the Neighborhood Services Fund. $230 will be paid to the Intoxicated Driver Resource Center (IDRC). There will be a surcharge of $1,000 per year for three years. The driver will face up to 30 days in jail. If the charge is for drugs and not alcohol or the BAC is 0.10% and below 0.15%, the driver’s license will be suspended for seven months to one year. The other penalties remain the same. With these penalties, a defense attorney would be wise to try and use every tool at his or her disposal to try and have the case dismissed even if it is from a seeming technicality like the failure to adhere to the speedy trial rule. Certain courts do try to adhere to speedy trial DWI myth and deal with the case within 60 days. This is often at the expense of proper preparation and can negatively affect the results. It will, of course, benefit the defense if the prosecution doesn’t have time to adequately prepare and the defense can prepare to to exploit any missteps that are made in the rush. This doesn’t happen very often. If there is a delay without reason and 60 days have passed, then the court should be compelled to get the case moving. After the discovery portion of the case has been requested, the case shouldn’t be delayed for very long. Discovery is the process under which the evidence in the case is provided for the defense. This will include the police reports, video evidence, breath tests and other vital information that will help determine the driver’s fate. When an attorney makes a request for discovery, it’s possible that all of the items requested will not be provided. The attorney is then able to file a motion to compel the prosecution to provide the requested evidence. If the court agrees with the motion and gives a date by which the discovery must be provided and that date is passed, the defense can request a dismissal for this fact. When the case is set to begin, it is important to try and use the speedy trial rule. If the case is moving slowly and doesn’t adhere to the speedy trial rule, this too can be grounds for the defense lawyer to request a dismissal. The Court must look at numerous factors when deciding whether or not the speedy trial rule has been violated. The length of the delay, why there was a delay, if the defendant asserted the right to a speedy trial and if there was any prejudice against the defendant will all come into play when there is a question regarding the speedy trial within 60 days. It’s possible that a savvy defense attorney can get the case dismissed if any delay is handled correctly.